I hope you can find the newest Quatchi! He is called Quatchbear! 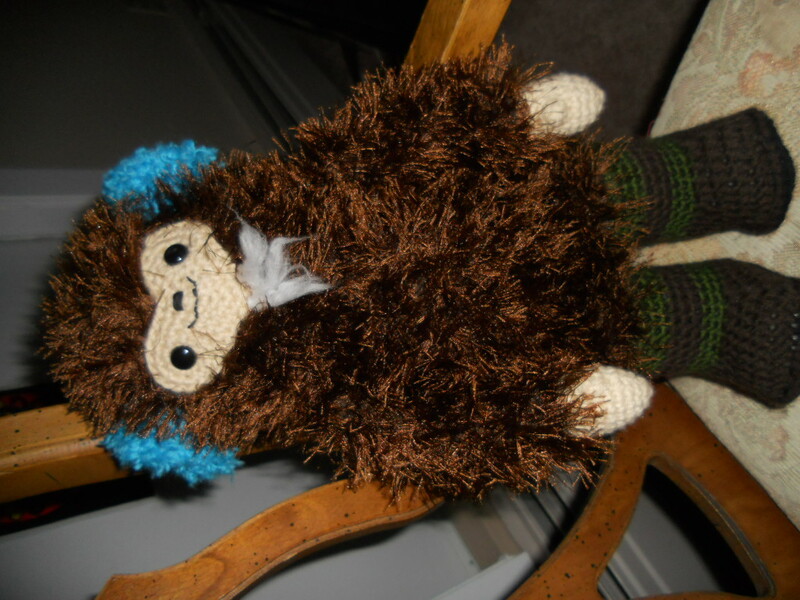 He is a handmade, one of a kind, Quatchi made by “Woolgoddess…..my obsessions” from Etsy!. She did him as a favor to me. I am so grateful! Here is a better close up of him. 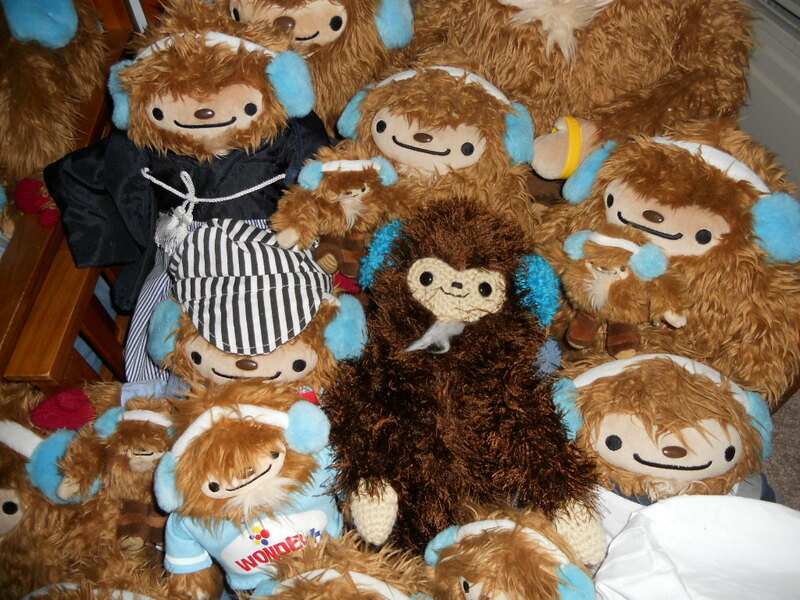 He is a little bit leaner and taller than the 13 inch Quatchis’ but he is just as recognizable and cute! Please welcome him to the clan! I’m loving the hand knit legs (with signature stripes)!! Congrats on your newest member, you must be so proud! Yes, I am and very thankful because he is definitely one of a kind! I KNOW!!! SHE IS AN ARTIST! He is fitting in fine with the rest of the clan.